Defense was the strength of the Panthers field hockey team this fall. It was the obvious strength of the Whitman-Hanson Regional High field hockey team, which finished the season with a 2-10-6 record, that defined their season. “The defense had to stop amazing offenses, and they themselves were truly amazing,” fifth-year head coach Todd Humphrey said. The Panthers surrendered just 32 goals on the season, five of which came intheir second meeting with Keenan Division champ Plymouth North. Against the Keenan’s second best team, Duxbury, which qualified for the tournament, W-H held the Dragons to three goals in two games, as opposed to 13 goals in two games last season. Even Fisher Division champion Scituate had a difficult time finding the back of the net against the Panthers, scoring two goals in two games. As a result of the stout defensive effort night in and night out, seniors Kathryn Dunn and Olivia Sheehan, who is a captain, were tabbed as Patriot League All-Stars. “They were phenomenal on defense all season,” Humphrey said. W-H’s backline also featured some youth in first-year varsity sophomores Skylar Leonard and Noelle Cornett. The duo switched off playing on the right side. In net, sophomore Madi Savicke put forth a breakout campaign, posting a 1.67 goals against average. As good as the Panthers were at stopping opposing offenses, their offense was unable to generate much of anything itself, poking home just 14 goals on the season. Losing senior captain and forward Annika Putur just seven games in, which they were 2-2-3 in, to a torn ACL threw a wrench into the Panthers’ plans. They didn’t win a game in her absence. Sophomore Delanie MacDonald provided a silver lining during the team’s offensive woes, scoring a team-high five goals on the fall. Her Classmate Lauren Clark had three. “Delanie was great at positioning herself inside the arc to make a play,” Humphrey said. “Delanie was able to get quick and close shots away from goalies. Humphrey said despite the impending loss of nine seniors, he firmly believes his club will be competitive next season. Sisters Lauren and Kathryn Dunn are estatic to be playing with each other for the Whitman-Hanson Regional High field hockey team. Coming into tryouts, Lauren Dunn was just aiming to make the freshman field hockey team. But her speed was too much to pass up for Whitman-Hanson Regional High field hockey coach Todd Humphrey, who selected her and two other freshmen out of 26 for the varsity team. Dunn’s low expectations for her roster status stemmed from the fact that she just picked up the sport over the summer after a lifetime of playing soccer. Her sister Kathryn, a senior, made a similar move. Kathryn was the MVP of the junior varsity girls’ soccer team her sophomore season before deciding field hockey was the fall sport forher. So, when Kathryn found out her younger sister cracked the varsity team, a few months after talking her into playing the sport, she was ecstatic. “I think I was more excited than she was,” Kathryn said. The two sisters’ only prior experience playing together has come when Lauren subbed in on Kathryn’s AAU basketball team when they need an extra player or two. Lauren said her older sister has been an immense asset for her to have by her side as she makes the transition to high school both in the classroom and the field. Humphrey said this season brings back memories of 2014, when freshman Colleen Hughes (’18) came out for the team along with her sister Caitlin (’15), who would end up being the program’s first captain since its revival that season after a 30-year hiatus. Colleen went on to captain the team three seasons later. Caroline Woodward (’16) was a captain her senior season and then her younger sister, Tina (’18), went on to do the same her senior season. In the Panthers’first game of the season, a 1-1 tie against Scituate, Humphrey gave both Dunns the start – Kathryn at defender and Lauren at forward. Kathryn was a key force in the middle for the Panthers that game, and Humphrey said he can’t begin to explain her importance to the team as an elder statesman. While Kathryn clamps down on defense, Lauren is flying down the field with the offense. In the Panthers’ 2-1 victory over Silver Lake on Thursday, Sept. 13, Lauren passed the ball to junior Victoria Ryan, who buried it home for a goal to make it 1-0. “You’re going to see Lauren going more with the offensive flow, just very graceful and fast,” Humphrey said. The goal the rest of the way for the Dunns is to keep the Panthers’ winning ways going. Through five contests, W-H sits at 2-1-2, its best start since the program resurfaced four years ago. “We’ll never get this chance again, so I’m glad we got this,” Kathryn said. The Panthers look to keep plowing ahead after the graduation of 15 seniors. For the past five seasons at tryouts, Whitman-Hanson Regional High field hockey head coach Todd Humphrey has watched the pool of players expand and talent level rise. That’s why after losing a 15-player senior class – albeit one that set the tone of what field hockey is at Whitman-Hanson – Humphrey isn’t using the term rebuild, but rather “transition” to describe this fall. Humphrey, whose team, which was brought back in 2014, set highs in wins (six) and goals scored (30) last season, even took three freshmen – Lauren Dunn, Joli Flamos and Rosie MacKinnon – on varsity, which speaks volumes of how much field hockey has grown at W-H. But for every young team, it takes veteran leaders and playmakers to steer the ship to its destination, and the Panthers have them. Senior captain Olivia Sheehan is as good as it gets from the left corner of the defense. Senior captain Lauren Godbout has been with Humphrey since she was a freshman and will start at right midfielder. Senior Annika Putur, who joined the team last season, will start in the center of the field at forward and serve as a captain, a role she serves on the girls’ lacrosse team as well. Flanking Putur on her left will be sophomore Lauren Clark, who Humphrey expects to see big things out of. Clark will work in tandem with junior Robin Goyette. At right wing will be another tandem with juniors Maddy Tassey and Sophie Molinari. 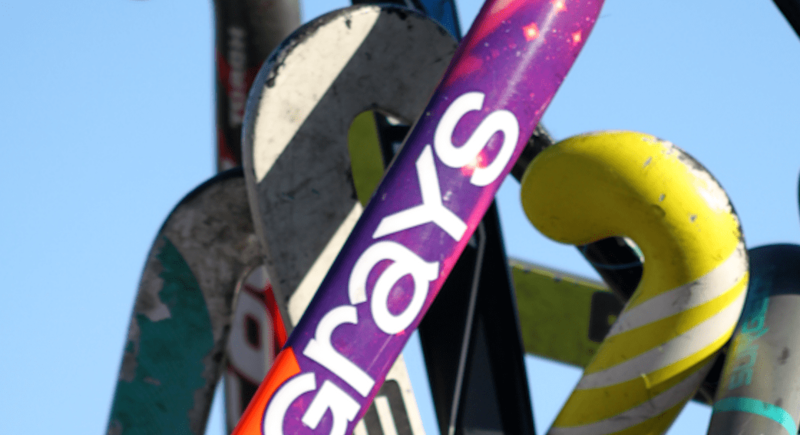 Zoe Lydon, a girls’ hockey and lacrosse captain, will back up Putur, and Lauren Dunn, senior Samantha Whitman and sophomore Delanie MacDonald will see time at forward. Junior Victoria Ryan, a softball captain, will go up against some of the Patriot League’s best from her spot at left midfielder, and she looks to be up for the task. Flamos will also see time at left midfielder and junior Abby Repoza at center midfielder, while seniors Emily Stearns and MacKinnon will be up the middle. “I want to get a lot of speed in the midfield and I’d love to see our midfielders enter the offensive zone – that half circle – and join the offensive attack,” Humphrey said. In addition to Sheehan on defense, senior Kathryn Dunn – a girls’ basketball captain – will roam the middle with sophomores Skylar Leonard and Noelle Cornetta to her right. Sophomore Madi Savicke takes over for Molly MacKinnon in goal. The Panthers are back on the field Friday, Sept. 7 at 3 p.m. as they play host to non-league rival East Bridgewater. The Whitman-Hanson Regional High field hockey team set highs in goals and wins this season. It was back in 2014 when the Whitman-Hanson Regional High field hockey program was revived after a 30-year hiatus. W-H head coach Todd Humphrey said he remembers it like it was yesterday. The following fall, W-H, which competed at the junior varsity level during its first season back, was granted a varsity team. As expected, it was a struggle for the Panthers who didn’t manage a single victory and scored a mere three goals. Last season, the program formed a freshman squad as participation numbers boomed to nearly 60. At the varsity rank, W-H battled through its first 17 games without a single win, before fielding a 3-1 victory over East Bridgewater in its final game of the season. This autumn, the Panthers – led by senior captains Colleen Hughes, Ashley Memmolo and Tina Woodward – roared to new heights. For starters, their win total climbed to six. Humphrey said that despite the challenges his group has faced in the past, it never hung its head, and it paid off. On the field, one aspect W-H honed in on improving was ball movement and it showed as its goal total spiked 11 last season to 30. Humphrey said he felt his club’s biggest advantage was its speed, which was on prime display in the Panthers’ final game of the season, an 8-2 win over Norwell on Oct. 27. For Humphrey, despite the result, it was a bittersweet ending as he was forced to say goodbye to his senior class of 15 players. About half of those girls were part of the 28 Humphrey was in the middle of a grass field with trying to learn field hokey a few years ago. Humphrey said he is highly optimistic for the continued success of the program, which had a record 64 girls in it this fall.